136 Spiral-bound pages of REAL comping over REAL Standards! 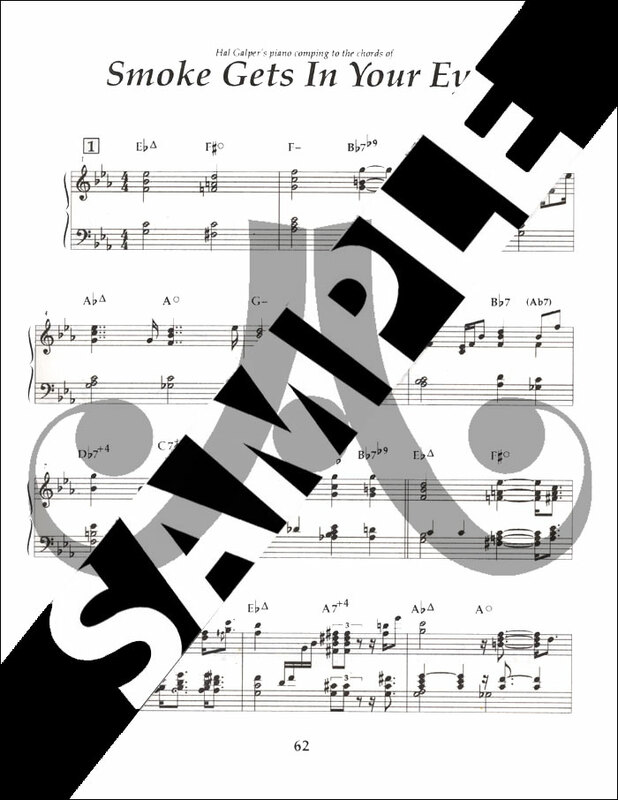 Complete piano transcription book from Vol. 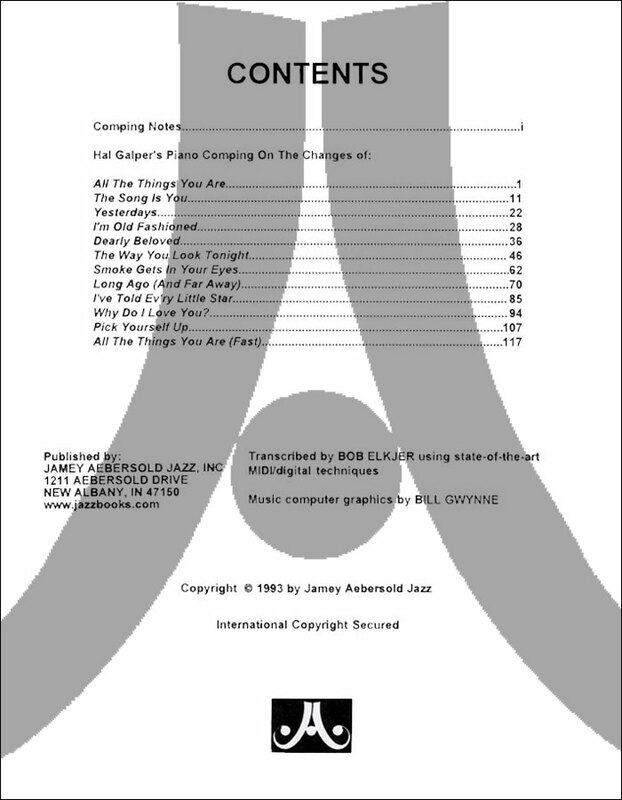 55 "Jerome Kern - Yesterdays" - featuring Hal Galper. 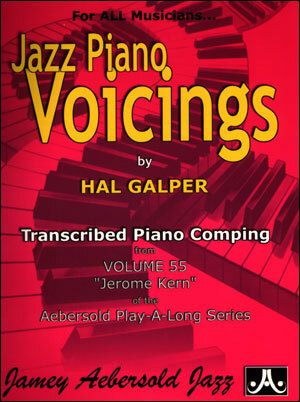 Hal’s melodic approach and exciting rhythmic accompaniment have made him one of the most “in demand” pianists today. 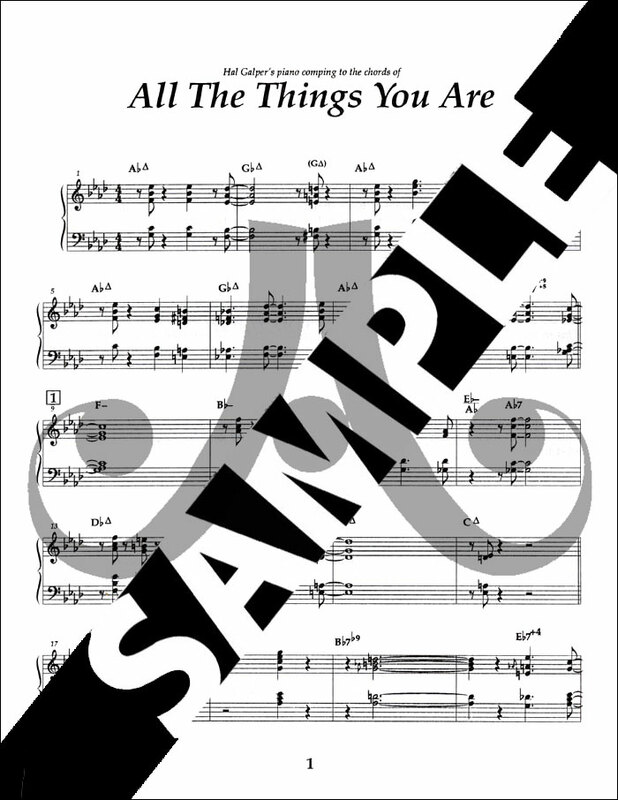 “See what it’s all about!” 136 pages of inspiring comping to the chord changes of 12 All-Time favorites. 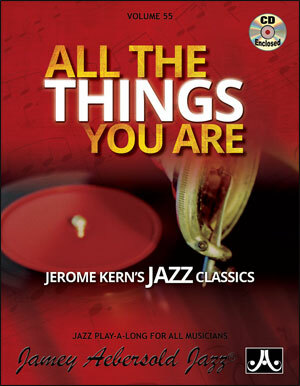 You'll never stop learning from this fantastic wealth of information from a accomplished jazz veteran. Spiral bound for easy opening. 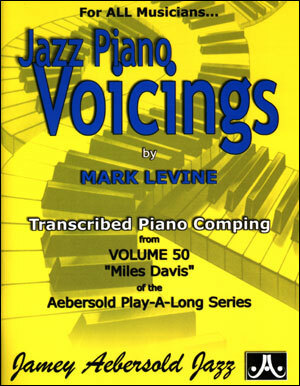 Why you should consider this and other Aebersold piano voicing transcription books: Ever listen to a great jazz pianist and wonder “what’s he doing there?” Now you’ll know! 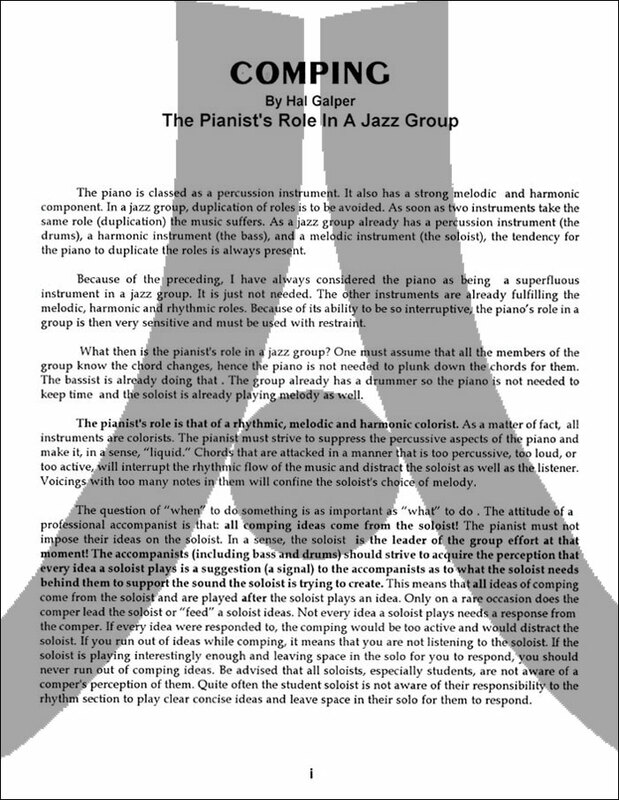 Here, as never before, is an opportunity to see Real jazz piano voicings and comping over Real songs in Real live musical settings. 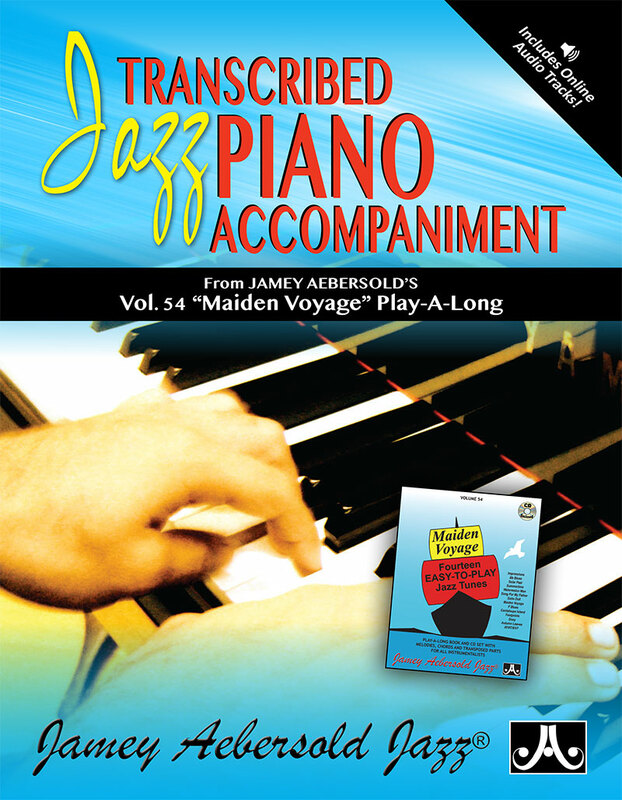 These historic books contain Note-for-Note transcriptions, exactly as recorded, of the exciting piano accompaniment from the World Famous Aebersold Play-A-Long series. 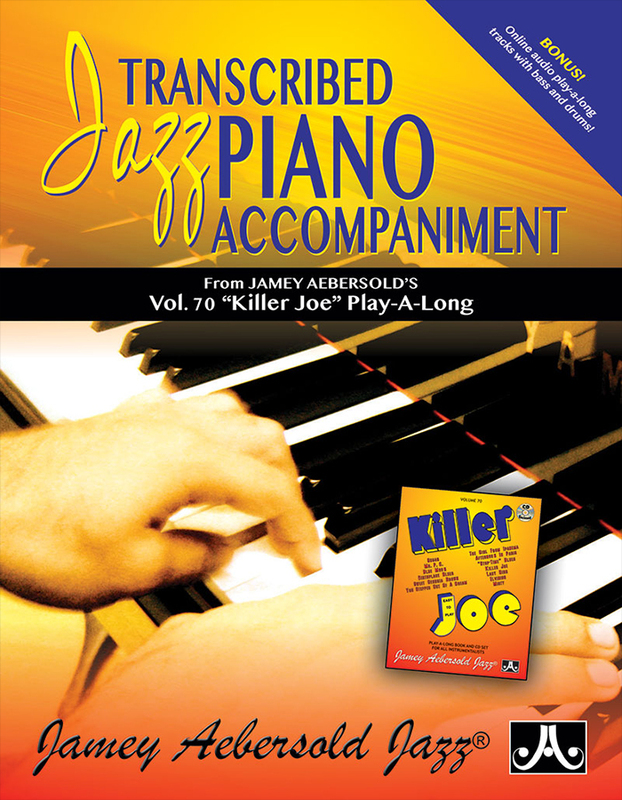 Pianists: First, listen closely to the pianist on the respective Play-A-Long recording (sold separately). Next, reading from the book, play along with him, imitating his style. Finally, Turn Him Off(using the special stereo separation on all of our CDs) and play along by yourself with the bass and drums. With the techniques learned, you’ll soon be improvising your own accompaniment! 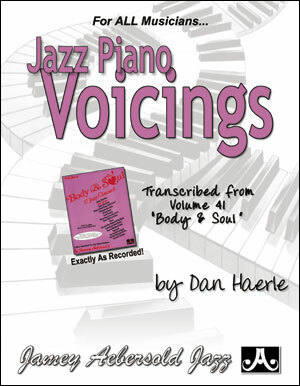 Non-Pianists: Horn players, arrangers and vocalists can use these books like dictionaries to look up favorite voicings they’ve heard on a particular Play-A-Long track. Written clearly for two hands, even the most novice pianist can play many sections of these books.